Having the extreme temperatures that we often experience here in the Midwest, our customers are often wondering how to keep their furnaces and air conditioners running as long and as smoothly as possible. 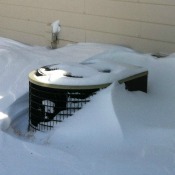 However, in the winter months do you need to worry about your air conditioner? There are many different options when it comes to purchasing a thermostat. Find out why a programmable thermostat is the way to go. While it is a simple task to change out the air filter on your furnace, many people just plain furnace filter forget to do it. 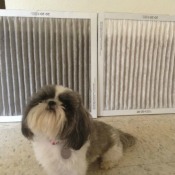 The filter is a small piece of your furnace, but determines a lot of how efficient it is. Think of your furnace like you think of your car. You wouldn’t drive your car 100,000 miles without changing the oil. Regular furnace preventative maintenance is the best way to be sure that your furnace will run without a hitch this winter. 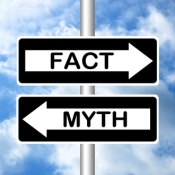 This post is our attempt at debunking those plumbing myths that could be causing you to lose money. Welcome to our blog! While this blog is not a completely objective piece of writing, there is a major goal – which is to genuinely help the average consumer without actively trying to sell. Type 88899 and click "Submit"
Type 95032 and click "Submit"